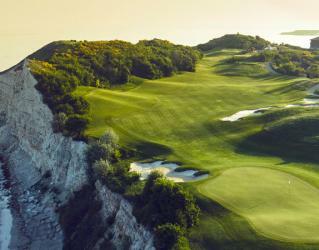 The 5* luxury Thracian Cliffs Golf & Beach Resort offers its guests a matchless golfing holiday experience in Bulgaria. 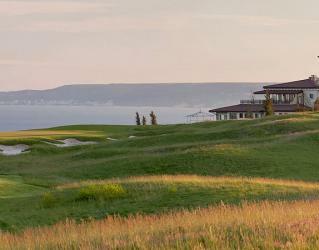 Facing the Black Sea in every hole, the adjacent and unique 18-hole Gary Player designed Signature Golf Course is one of the most fascinating golf courses in the world. 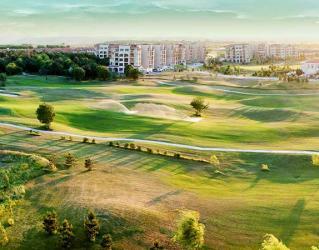 Combining a luxury 5* accommodation with blissful moments of golf at an 18-hole superb championship links golf course, BlackSeaRama Golf & Villas offers an unforgettable and genuine golf holiday experience in Bulgaria; the newest golf destination in Europe. A proud member of PGA European Tour Destinations, Lighthouse Golf & Spa Resort offers its guests a fantastic atmosphere where lush greens of Kavarna intertwine with the blue of the Black Sea. Connected to the 18-hole championship Lighthouse Course designed by Ian Woosnam, the resort combines great rounds of golf with luxurious stay.